Kids love Halloween and eagerly wait for 31st October. Halloween gives them chance to dress up in their favorite character costume and have unlimited fun. There are various options available for Kids Costumes ranging from Scary Costumes to Funny Costumes. Some kids love “Fiction Superhero’s” and love o dress up in “Superhero Theme Costumes”. This Halloween Pick the best “Superhero Costumes” for your little boy or girl and let them indulge in some action this Halloween. Latest favorite Superhero of Kids is “The Avengers Hero”! With Iron Man released a few weeks back, it is one of the favorite among Kids. 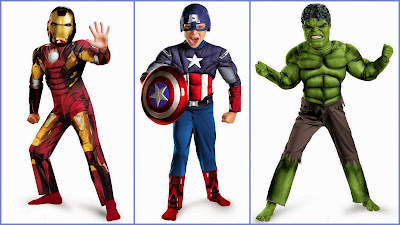 For an Avengers Theme Costume Party, dress up your Kids in various Avengers Costumes-Captain America Costumes, Iron Man Costumes, Thor Costumes, Hulk Costumes or Black Widow Costumes. Is it a Plane? Or is it a bird? No its SUPERMAN. Now your little one can dress up as Superman. 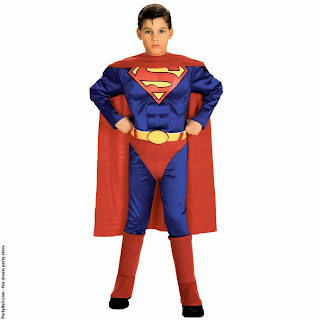 Let him show-off his Superpowers in “Superman Theme Costumes” and get the feel of American Hero Feel. He hides his identity and is bad to bad guys – Batman is one of the most popular Superhero for Kids. With the evolution of Batman even the Batman Costumes have improved. No longer are they grey suits with blue shorts. Some really good Dark Knight Rises-Batman Suits are available for children. 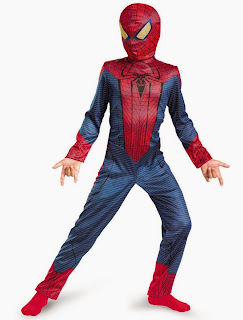 Let your Kid enjoying some web-slinging with these Spiderman Theme Costumes for Kids. Your kid will surly looking like next Peter Parker and make his crime fighting fun. Perfect for his Halloween fun. 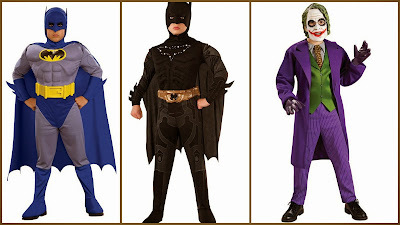 Let your child get the feel of Superhero this Halloween with these amazing Superhero Costumes.